Our B1 Off Camera Flash includes 1x Pro B1 Li-Ion Battery and 1x Pro B1 Charger. Off-camera flash. With TTL. Without cords. The B1 makes it easy to take the flash off your camera, take control and shape light. With TTL you set the light in a flash. With HSS you control the ambient light no matter how harsh the sun is. With battery-power and a clever design without cables or cords, you can take the B1 with you wherever you go and put it wherever you want. Add to that the power, speed and light shaping possibilities that Profoto lights are known for, and you have an off-camera flash that makes great light easy. – Patented AirTTL technology provides perfect exposure in a flash. – Cordless design and wireless controls allows you to shoot without any restraints. – Interchangeable, integrated battery provides up to 220 full-power flashes and tens of thousands at lowest power. 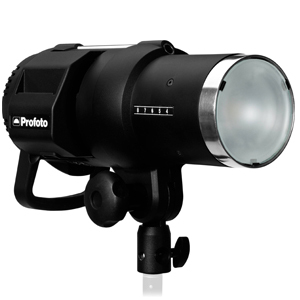 – 500 Ws adjustable in 1/10 f-stop increments over a 9 f-stop power range give you both power and precise control. – Fires up to 20 flashes a second with flash durations as short as 1/19,000 of a second. – Patent-pending Profoto HSS is fast enough to keep up with your camera, 10 times as powerful as your average speedlight, and extremely consistent. – Designed for used with more than 150 Light Shaping Tools.